Alabama passed a strict voter-ID law and then closed 31 DMV offices in the state. EDITOR’S NOTE: This article has been updated below. 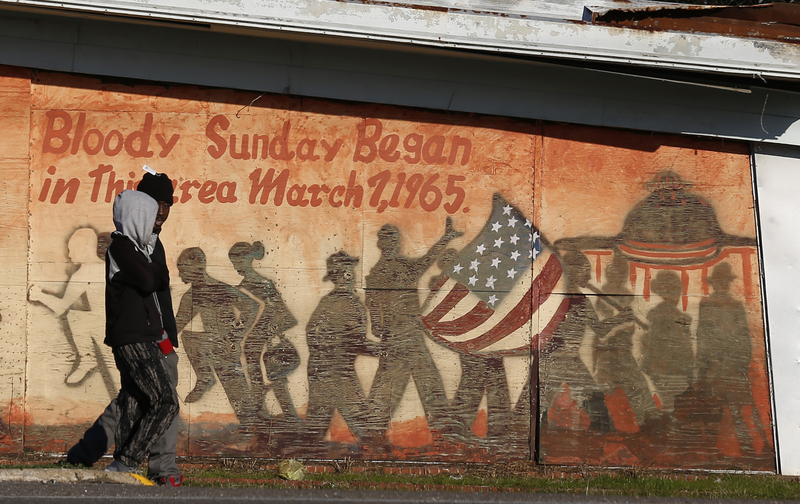 It was Alabama that brought the country the Voting Rights Act (VRA) because of its brutality against black citizens in places like Selma. “The Voting Rights Act is Alabama’s gift to our country,” the civil-rights lawyer Debo Adegbile once said. And it was a county in Alabama–Shelby County–that brought the 2013 challenge that gutted the VRA. As a result of that ruling, those states with the worst histories of voting discrimination, including Alabama, no longer have to approve their voting changes with the federal government. After the Shelby County decision, Alabama’s strict voter ID law, passed by the GOP legislature in 2011, was allowed to go into effect without federal approval. And now Alabama is making it much tougher to obtain the government-issued ID required to vote by closing 31 DMV locations in the state, many in majority-black counties. Look at the 15 counties that voted for President Barack Obama in the last presidential election. The state just decided to close driver license offices in 53 percent of them. Look at the five counties that voted most solidly Democratic? Macon, Greene, Sumter, Lowndes and Bullock counties all had their driver license offices closed. Look at the 10 that voted most solidly for Obama? Of those, eight—again all but Dallas and the state capital of Montgomery—had their offices closed. This is the very type of voting change–one that disproportionately burdens African-American voters–that would have been challenged under Section 5 of the VRA, which the Supreme Court rendered inoperative. “The voices of our most vulnerable citizens have been silenced by a decision to close 31 license facilities in Alabama. #RestoreTheVOTE,” tweeted Congresswoman Terri Sewell from Selma. Approximately 250,000 registered voters in Alabama don’t have a driver’s license or acceptable form of voter ID. In the last election, a 93-year-old World War II veteran was turned away from the polls because of the new law. Only 41 percent of Alabamans voted in the 2014 election, the lowest turnout in the state in 28 years. UPDATE—Monday, Oct. 5, 11:00 am: Congresswoman Sewell called on the Department of Justice to investigate the DMV closures, noting that 8 of 14 counties in her majority-black district will no longer have a DMV office. The NAACP Legal Defense Fund sent a letter to Alabama officials stating, “the planned closures very likely violate Section 2 of the VRA and the U.S. Constitution.” Expect a lawsuit soon if the state doesn’t reverse course. Alabama ranked last in the nation in voter access according to a Center for American Progress report.